Senate Republicans on Tuesday blocked a Bernie Sanders-backed amendment aimed at lowering prescription drug prices and allowing for the import of low-cost medicines from other countries. 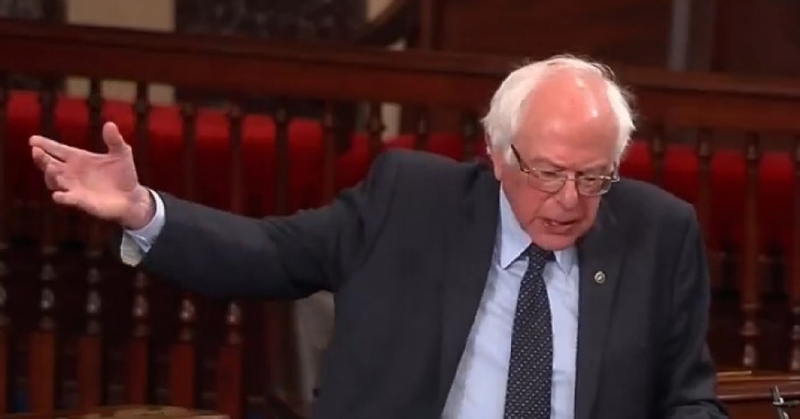 Sanders (I-Vt.) sought to attach the proposal to the controversial 21st Century Cures Act, which is ostensibly geared toward fueling medical innovation. Both Sanders and Sen. Elizabeth Warren (D-Mass.) have decried the legislation, poised to pass the Senate on Wednesday, as a Big Pharma giveaway. In a statement, Sanders described his amendment as a “Trump proposal,” noting that the president-elect advocated for its major components on the campaign trail. Trump’s campaign platform also advocated making it legal to reimport cheaper drugs from other countries. Sen. Roy Blunt (R-Mo. ), a member of GOP leadership, blocked the former Democratic presidential candidate’s move, arguing it would threaten the passage of the medical cures legislation. “The sure way for this bill not to pass in this Congress is to do something that changes the subject,” he said. In turn, Sanders said he could not support the legislation. The House approved the bill last week; it is expected to pass the Senate easily on Wednesday and be signed by President Barack Obama shortly thereafter. This entry was posted in Business/Economy, Health/Medicine. Bookmark the permalink.